Apple cider is one drink that I look forward to every fall. And I’m not talking about hard cider, just regular, unfiltered apple cider. Cider has so much more flavor than regular apple juice that it is almost hard to believe that they come from the same fruit. 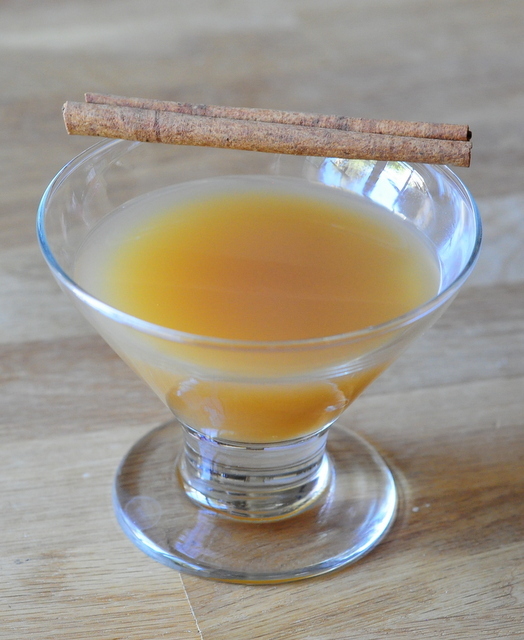 It makes a great base for everything from hot spiced cider that you can serve to everyone in the family and fall-inspired cocktails that are just for adults – and this Gin Apple Cider is one of those cocktails. 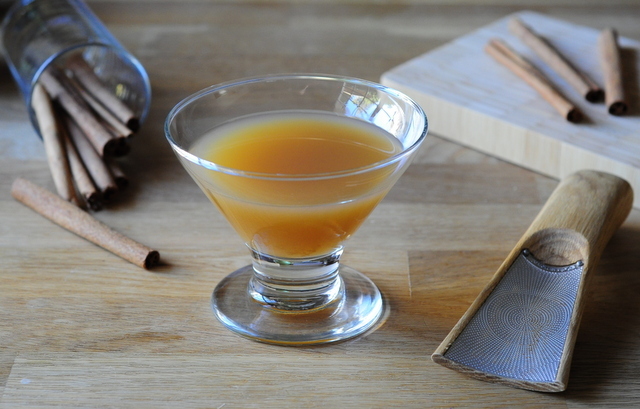 It’s a simple cocktail that manages to capture some of the flavor of fall. The drink starts with gin and apple cider, as the name suggests. The aromatics in gin blend really well with apple cider, making it more complex and actually letting the sweetness of the apple come forward. Make sure you start with a good, high quality cider – one that is made with real apples, not one that is made with apple concentrate and corn syrup. I finish this drink off with a little freshly grated cinnamon before serving. Pour all of the ingredients into an ice filled shaker. Shake and strain into a chilled cocktail glass. Garnish with grated cinnamon.